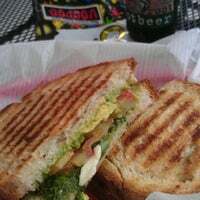 Cajun turkey, jalapeno & onions, provolone, avocado spread on wheat & then put in the panini press..pretty greasy but super delicious! The atmosphere and decor were really nice and old timey! The Reuben Dog: wrapped in corned beef and dropped into a freshly baked hot dog bun from Central Market and piled high with sauerkraut and Swiss, dripping with homemade Thousand Island Dressing. 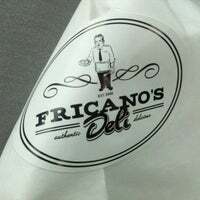 They serve fantastic (and big) deli sandwiches that are easily some of the best in the city. Plus, you can play board games or read some of the books in their book shelf while you wait for your order. 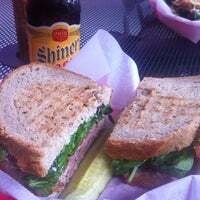 Honestly one of the best sandwich shops in Austin! 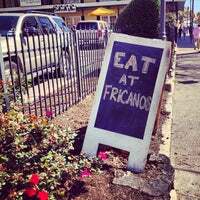 Start with any of Fricano’s Favorites. The Ainsworth is ALWAYS a tasty surprise if your not in a mood to pick. 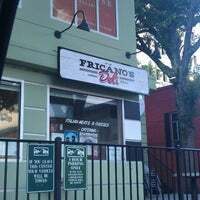 I have not had a bad sandwich here. 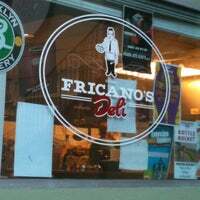 Really awesome sandwiches! 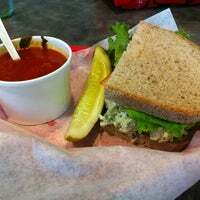 I love that you can build your own sandwich and the ingredients taste fresh. The portions are really big - I usually can make 2 meals out of one order. 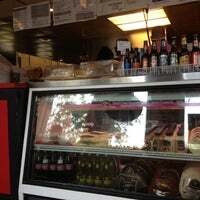 Big sandwiches and lots of options! 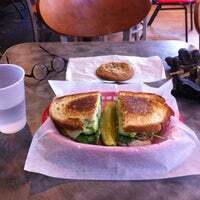 I made my own sandwich and got turkey, sprouts, spinach, tomatoes, and avocado with rocket sauce on sourdough. Love that you can get half a sandwich here for more variety! But even half fills you up. 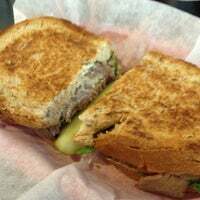 Try Paul's Reuben or Cajun Turkey. Whether vegetarian or not, that Veggie Reuben was absolutely amazing. 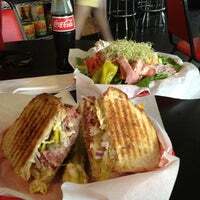 They deserve their street cred as best Reuben in Austin. 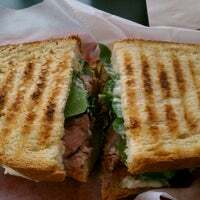 It'll take a little bit to get your sandwich if they are busy...but it is always WELL worth the wait. Ainsworth all the way. Thursday's special, The Flyin Hawaiian, has just the right amount of sweetness and heat. Really tasty! 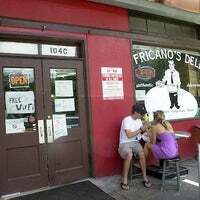 Fricano's has one downfall: order your sandwiches without tomatoes (they're usually mealy). Get the Ainsworth if you really have no idea what to get because it will be good no matter what. Also enough for 2 meals. Try the Ainsworth Switcharoo: go with a friend, order two Ainsworths, trade half of it. Twice the randomness! If you don't know what to choose just pick the Ainsworth and leave it to them... great place! 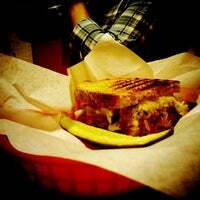 You will not regret the spicy reuben. Unless you hate eating delicious sandwiches, in which case, I'm sorry? Everything is incredible! Try any sandwich and you can't lose! Treat yourself to some of the best chocolate chip cookies in town for dessert. Don't know what you want? Get the Ainsworth, it's different every time and they never disappoint. 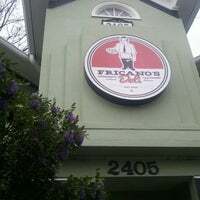 The Flyin' Hawaiian is delicious and the Thursday special. Roll the dice and order an Ainsworth, you won't be disappointed. Do not get the Ainsworth unless you want a turkey panini with no spread, and only lettuce tomatoes and cucumbers. Maybe they were having a bad day but still no excuse for a zero creativity sandwich. If the daily special is the pulled pork BBQ sandwich, get it! Grilled Cajun Turkey on wheat, add avocado. Like the original location just larger! Thursday's Flyin' Hawaiian special is always a good idea. Use your Go Local card to get a discount! Couldn't handle all your sandwich? Take it to the counter to be wrapped up to go! share a black and white cookie with a friend! 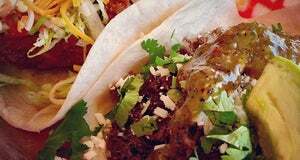 Los mejores sándwiches de Austin. Surprise yourself and get the Ainsworth. "They've replaced they're pastries with higher quality ones from La Boulange and they are to die for! 😍 Try the chocolate croissant! And I love the baristas here. K bye. ✌️"
"The new Strawberry Mango Recharge smoothie is awesome! Caffeine from green coffee beans, raspberry ketones, ginkgo, and B 12!" "Chickpea veggie salad with hot peppers is the way to go." 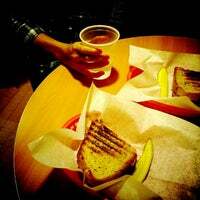 "Next time I will request the avocado be spread directly on the bread. Other than that I like the veggie sandwich on grain with bacon👍"
"A hybrid of Japanese flavors and Continental techniques, Soto brings elegance and family cooking to the table. Try the magical tiger maki roll or the mango kobe for an unforgettable experience." "Best lattes and hot chocolate ever. It's rich & foamy & made traditionally. Iced toddy (esp. the Toddy SS) is a nice, caffeinated alternative to plain iced coffee when hot. Pay cash, no tax. Love it!"